David Bruce's opera, based on a story by Philip Pullman, is a magical tale of courage and friendship with Balinese shadow puppetry and folk-inspired music. 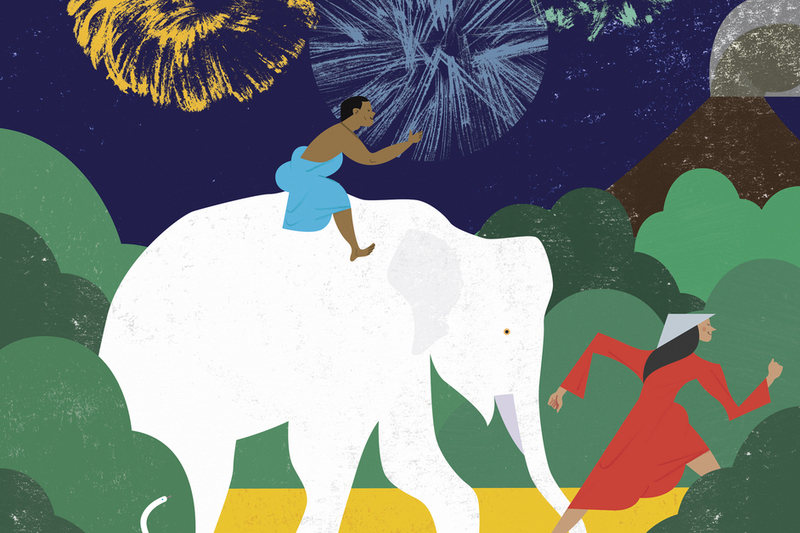 In thi s theatrical event, suitable for all the family and for children aged 8 and upwards, c omposer David Bruce and poet Glyn Maxwell adapt Pullman's acclaimed children's novel The Firework-Maker's Daughter , telling the story of Lila who desperately wants to be a firework-maker like her father Lalchand. He claims it's no job for a girl so she runs away to learn the trade, followed by her friend Chulak and the lovesick white elephant Hamlet. Along the way they meet pirates, tigers and the terrifying Fire-Fiend in what p romises to be a fun theatrical spectacle set in a mystical Eastern land. What are the best dining options near The Firework-Maker's Daughter London? The Firework-Maker's Daughter gyms, sporting activities, health & beauty and fitness. The best pubs near London The Firework-Maker's Daughter. The Firework-Maker's Daughter clubs, bars, cabaret nights, casinos and interesting nightlife. Where to have your meeting, conference, exhibition, private dining or training course near The Firework-Maker's Daughter. From cheap budget accommodation to luxury 5 star suites see our discounts for Linbury Theatre hotels, including The Waldorf Hilton Hotel London from 76% off.